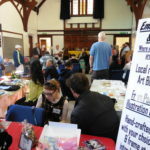 Key note speaker Professor Paul Crawford, stalls, workshops, creative activities, drama, lifemusic, bellydancing, tai chi, the Labyrinth, the Human Library, exhibitions and much more. An extraordinary and inspiring day. Opened by the Mayor of Portsmouth. 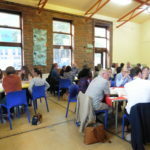 A world cafe event in Portsmouth on the future of mental health support services, over 50 people attended to hear a series of short speeches from presenters and then debate the issues in small groups. Speakers were Dr.Janet Maxwell (Director of Public Health), Dr.Veronika Wagner (psychiatrist), Josanne Clarke (service user activist, trainer and consultant), Richard Barritt (CEO Solent Mind), Sandra Walker (Health Science, University of Southampton). Having successfully delivered a series of Trialogue events in Portsmouth, the Festival saw the first Trialogue event take place in Southampton. The themes discussed are recorded here via this link, and key messages sent to influencers in political positions or in mental health service delivery. Life Music workshop (14 May – Portsmouth) – open to all human beings; bring your life experience and make some music. Diving into the Wreck (15 May – Portsmouth) – a live literature production written and performed by former addicts with directorial and creative writing support from Tongues & Grooves in the Community. Rapid Cycling – Forum Theatre workshop (25 May – Southampton) – an interactive play which allows it’s audience to influence the outcome. Looking into the struggles of living with mental ill-health. 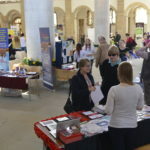 Particular thanks to the Cathedral Innovation Centre and Portsmouth City Council for their sponsorship, Denplan for funding free workshops, Awards for All Lottery for funding volunteer expenses, and fundraising for the Festival at the Southsea Community Choir event and Egypt to Africa Belly Dance and Community Arts event. 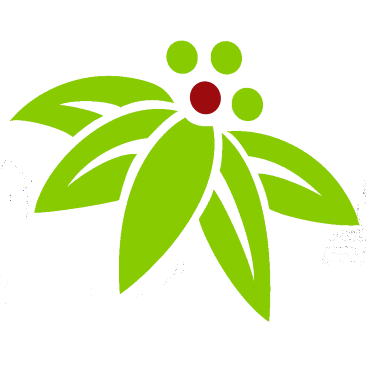 And of course many thanks to all those many people involved in the planning, preparation and delivery of the many events and activities as part of the Hampshire Festival of the Mind.